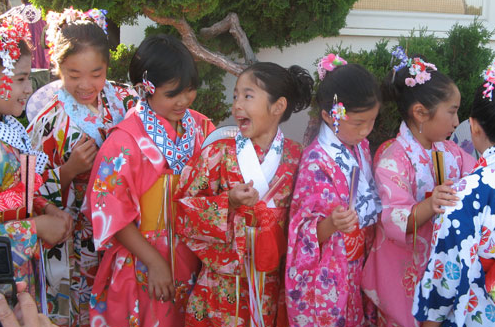 WATSONVILLE — Watsonville Buddhist Temple, 423 Bridge St. in Watsonville, will hold its Obon Festival on Sunday, July 17, from 12 to 5:30 p.m.
Obon is a time of joyous celebration and gratitude to the generations who went before us and gave us the gift of life. The highlight of the day is colorful dancing in which the community is invited to participate. Bon Odori starts at 4 p.m. The other highlight is drumming by Watsonville Taiko, an annual tradition. The mission of Watsonville Taiko is to foster the evolving cultural traditions of taiko drumming through performances and public education. The event will also feature food, games for kids, a farmers’ market, a rafle, and a silent auction. For more information, call (83) 724-7860 or visit www.wbtemple.org.